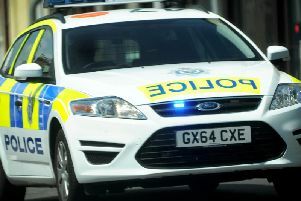 A disqualified Crawley driver sped through Brighton as he tried to evade the police before crashing into parked vehicles. Vikesh Patel was travelling at three times the speed limit as he tried to dodge officers in the city in his Mercedes G-Class on June 29. Police said the 27-year-old then hit a parked van before crashing into another parked car. He later fled the vehicle along with passenger Karim Bahaji but the pair were quickly arrested by officers. Patel, a mechanic, of Town Mead, pleaded guilty to multiple driving offences and was jailed for 15 months. Bahaji, 26, unemployed, of Partridge Lane, Rusper, pleaded guilty to possession of cannabis and was fined £50 as well as being ordered to pay £85 costs and a £30 victim surcharge. Inspector Chris Smith, of the Arundel Roads Policing Unit, said: “Having failed to stop for police in Crawley a few days earlier, a marker was placed on the vehicle Patel was driving and it was only a matter of time before we caught up with him again. Police said the car failed to stop for officers in Crawley after being involved in an incident a few days earlier. It was clocked by police as it travelled along Preston Drove at about 1.45pm on the Friday afternoon and was pursed through the city. Officers said it accelerated along Harrington Road, speeding across the double junction with Surrenden Way at approximately 60mph. The speed limit is 20mph. The vehicle then crashed into a parked Ford Connect van, causing considerable damage, and police said they ended the pursuit due to public safety. However, the Mercedes crashed into another parked vehicle in nearby Gordon Road before the men fled the vehicle. Patel was charged with dangerous driving, driving while disqualified, failing to provide a specimen of breath when suspected of having driven a vehicle, possession of cannabis and driving with no insurance. He pleaded guilty to the offences at Lewes Crown Court on July 27 and was given nine months in jail for dangerous driving, three months for driving while being disqualified, three months for failing to provide a specimen of breath, seven days for possession of cannabis and seven days for driving without insurance. He was also disqualified from driving for more than three-and-a-half years. To report a motorist for dangerous or antisocial driving, visit the Operation Crackdown website.